While looking for your next RV, we understand the importance of visualizing what your life will be like while using the product. To assist in your search, we produce detailed tour videos highlighting key features and benefits of each model we offer. So, sit back, relax, and allow Pleasure-Way CEO, Dean Rumpel, guide you through the advantages and possibilities of the Pleasure-Way lifestyle. Learn about all the new standard features we added for the 2019 model year including the Lagun table mount system, Bose® soundbar w/ Bluetooth®, LG Smart LED TV, inflatable air bed fitted for the cab and an upgraded 13" x17" galley sink. New standard features in this video include: the Truma AquaGo comfort plus instant water heater, front cab privacy shades, soft close drawers and Fiamma power awnings. Lastly, we introduce our brand new widebody model, the Plateau XLTS! Enjoy a guided tour of the 2018 Pleasure-Way Ascent TS. At just 19’7” in length, the Ascent makes both driving and parking effortless. The Plateau FL makes optimal use of its space by melding the benefits of a front lounge area with the ease and practicality of the rear power sofa arrangement. The Plateau TS layout provides for a large bathroom, six cubic foot fridge and a full size wardrobe while still leaving the bank of passenger side windows clear and unobstructed. This layout boasts our most expansive wet bath, excellent storage, a large Corian® countertop and an extremely comfortable queen size bed, all while staying under 21 ft in length. Featuring a unique mid-coach walk-around Murphy Bed that conveniently folds up into the wall when not in use. The sofa-daybed provides a comfortable lounge and dining area. Combining the versatility of two 29" x 74" twin beds with a spacious floor plan loaded with storage. The front cab area has two workstations that can double as a morning coffee lounge. Featuring a rear power sofa/bed that includes two lap seat belts for travel and easily converts to a very comfortable 74” X 74” memory foam sofa bed. Watch Dean Rumpel guide you through the new standard and optional features added to our 2017 lineup. An exciting new addition to our widebody line-up. 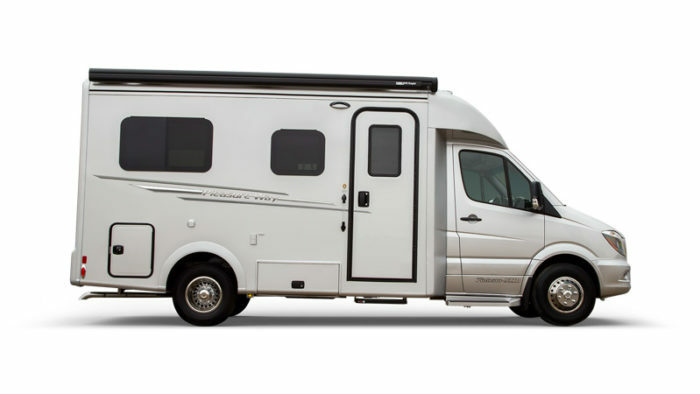 It combines the versatility of two twin beds, a spacious floor plan loaded with storage and over 25 cubic feet of exterior storage space. Check out the remarkably functional walk-around murphy bed, the massive rear bathroom with full size corian lined shower, upgraded solar panel capacity and unique curved cabinetry! a detailed look at the unique front lounge. Swivelling captains chairs create a second dining / work area. The new 2000 watt inverter provides additional functionality to the front workstation. The twin sofa floor plan offers a large bathroom with vanity, six cubic foot fridge and full size wardrobe while still leaving the bank of passenger side windows clear and unobstructed. 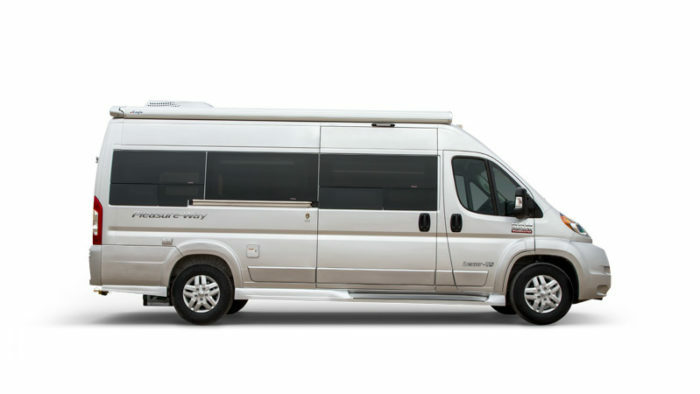 Built on the Ram ProMaster chassis, The Lexor TS features a 3.6L V6 Pentastar gasoline engine and measures 20' 11" in length. Also see the new high gloss radius cabinet package. This tour features our rear / side entry door roll up screen options, a 2000 watt pure sine wave inverter, multiplex wiring and touchscreen. We also take you through the process of our solid maple cabinet door construction. To mark our 30th year, we have incorporated some new and impressive standard and optional features into our product line, which are all highlighted in this video. 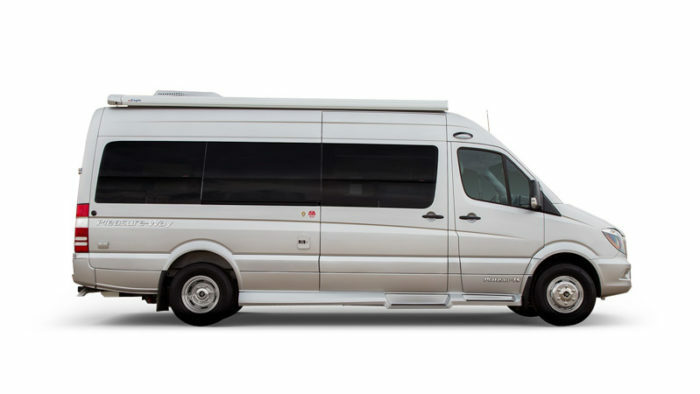 The Plateau XL is built on the Mercedes-Benz dual rear wheel cab chassis and measures 22 feet 9 inches in length. 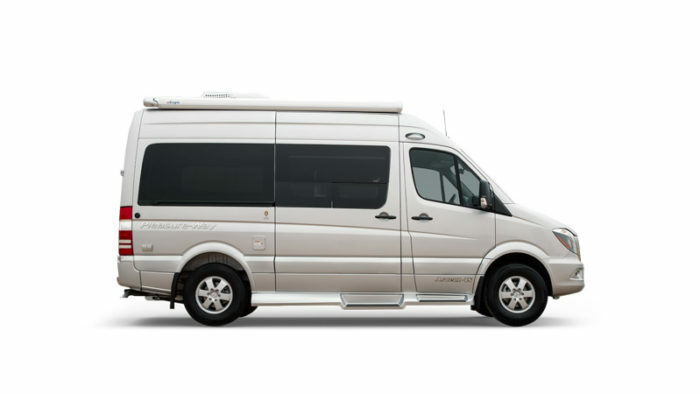 Built on the Mercedes-Benz short (144″) wheelbase Sprinter, the Ascent offers easy maneuverability with no shortage when it comes to the features and meticulous craftsmanship. Phil Nickel, Pleasure-Way's master service technician, gives an orientation of the 2015 Ascent. Phil offers important recommendations and operation procedures to get you comfortable with your Pleasure-Way Ascent. Highlighted in this video are some exciting new options for 2015 including a 95 watt solar panel with an automatic controller, an aluminum framed screen door as well as multiplex wiring. This 22' 9" coach makes optimal use of its space by melding the benefits of a front lounge area with the ease and practicality of the rear power sofa arrangement. This combination leaves you the option to keep the bed made up while enjoying the secondary dining area up front. 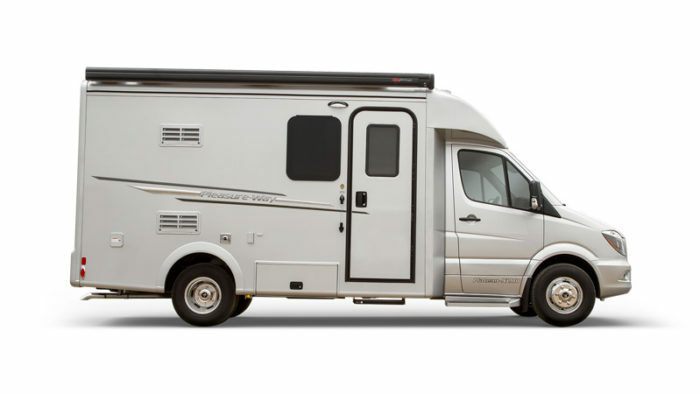 Here is the first look at the Pleasure-Way Lexor built on the Ram ProMaster 3500 Chassis. 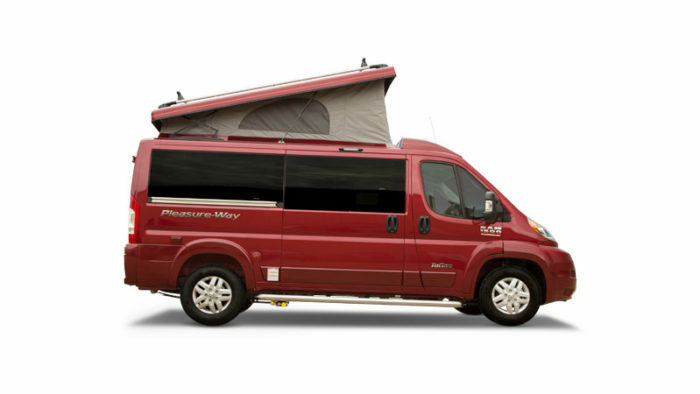 The 2015 ProMaster Lexor is built on the 159” wheelbase extended Dodge chassis and is only twenty feet ten inches from bumper to bumper.